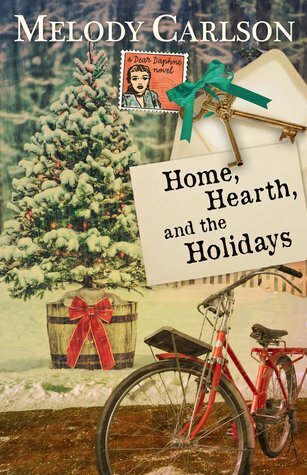 With holidays approaching in the charming town of Appleton, and Daphne Ballinger's deadline to "get hitched" drawing closer, Daphne finds herself happily distracted with the unexpected tasks of "motherhood" Young Mabel is enjoying the attention, but the clock is ticking and unless love comes her way, Daphne's delightful life will start unraveling by spring. Book 3 in the series! I can't believe that I had this one on my shelf already as well. It might be time to take stock of what's sitting there, eh? The Good: Another easy to read title and slowly some of those threads are starting to come together and it's becoming pretty clear to see how this series is going to end. I adore Mabel and I was so glad to see a bit of Daphne's best friend back in this book. She was very much missed in book two. The Summary: If you've made it this far, you need to read this book as well, if only for Mabel's sake. Time is ticking...what's going to happen to Daphne, Mabel, Lucy, and Ethel?